The International School of Music offers a wide variety of preschool music classes for children as young as 6 months old. Early Childhood Music classes offer age-appropriate activities including: singing, dancing, listening, playing pitched and non-pitched instruments, music games, rhythm games, and stories. Our teachers foster a deep-rooted love for music in a stimulating, playful environment by introducing students to fundamental music concepts such as rhythm, meter, dynamics, melody, pitch, timbre, improvisation, mood and expressiveness. Preschool music classes are designed to enable a smooth transition to individual lessons in future years. 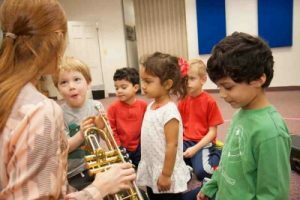 When you are searching for preschool music classes near me, you’ll note that we are only minutes away from students in Bethesda, Potomac, Rockville, Chevy Chase and Washington D.C. 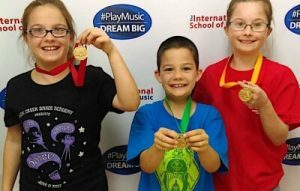 Individual, private instruction is at the heart of the International School of Music program and is available to children and teens of all ages and abilities, from beginners to advanced levels. Music instruction is offered in all genres from classical, jazz, pop, and rock, to folk, blues, and other genres. Lessons are offered in piano, violin, guitar, viola, cello, voice, flute, drums, flute, clarinet, saxophone, trumpet and more. Our award-winning faculty is dedicated to making your child’s learning experience stimulating and fun. Our music teachers use a creative and nurturing approach that makes music both informative and enjoyable for your child. And, when you are searching for music lessons near me, you’ll note that we are only minutes away from students in Bethesda, Potomac, Rockville, Chevy Chase and Washington D.C. The Adult Program at the International School of Music is designed for adults of all ages, whether a student is beginning lessons for the first time, refining his/her advanced skills, or coming back after many years away from lessons. Our experienced faculty has the patience and expertise to work with adults in many areas, including technique, note-reading, rhythm, theory, and interpretation. Their encouragement helps students develop the necessary basics in a fun yet challenging manner. Many of our adult students have found that learning to play a musical instrument is a stimulating, challenging and rewarding way to relieve stress and be involved in creative and recreational activity. And, when you are searching for music lessons near me, you’ll note that we are only minutes away from students in Bethesda, Potomac, Rockville, Chevy Chase and Washington D.C. Experience the International School of Music difference! 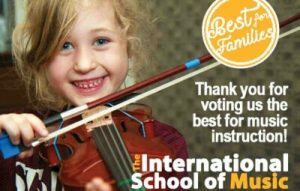 Voted the #1 music school by Washington Families and Best of Bethesda, the International School of Music has a proven track record of offering quality music lessons in the Washington D.C. metropolitan area since 2004. Trusted by over 3,000 families, we are passionate advocates of excellence in musical training for students of all ages and abilities. 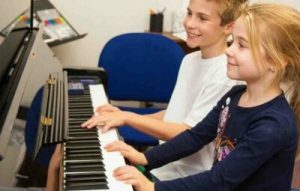 The International School of Music brings together a community of dedicated, experienced, world-class faculty that offers personalized lessons in piano, guitar, voice, violin, viola, cello, flute, drums, saxophone, clarinet, harp, recorder, trumpet, trombone, bassoon, ensembles, group classes, early childhood music classes and performances. We take great care in selecting only the best teachers who are both highly qualified professionals and friendly, nurturing instructors. Our teaching methods are student-centered, and are focused on individual learning styles and personal artistic goals to help each and every student reach his or her full musical potential. Whether you are a youngster interested in studying music for the first time, or an experienced musician looking to raise your ability to a higher level, the International School of Music is dedicated to bringing out the best musical ability in each and every student. And, when you are searching for music lessons near me, you’ll note that we are only minutes away from students in Bethesda, Potomac, Rockville, Chevy Chase and Washington D.C.. We hope you join us and experience how much fun music lessons can be! 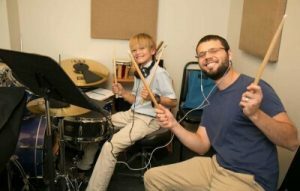 The International School of Music has a proven history of attracting some of the Washington D.C.’s best and brightest music teachers. Our teaching methods are student-centered, and are focused on individual learning styles and personal artistic goals. 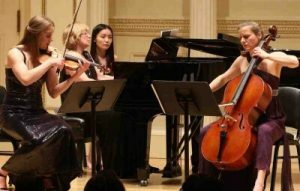 Many of our teachers are graduates from some of the top music schools in the nation, including Julliard, Eastman School of Music, Manhattan School of Music, NYU, Indiana University, Mannes College, etc. Our teachers and staff work diligently to ensure that students receive quality instruction in a positive, enthusiastic environment. We select teachers that have warm personalities, are friendly, and are dedicated to teaching you the style of music that you want to learn. With a large faculty, we are confident that we have the right teacher to help you achieve your musical goals whether you are a beginner or a seasoned musician. As a music school committed to musical excellence, we place a strong emphasis on providing multiple performance opportunities throughout the year. 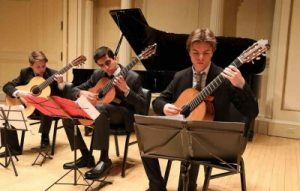 From low pressure, optional free student semi-annual recitals and our Passport Concert Series to our Carnegie Hall concerts in NY and our ISM Ambassador Program concerts, our students have plenty of opportunities to perform. Recitals and concerts are special events that allow family and friends to celebrate the progress that has been made and for the student to take pride in his or her accomplishments. Our students’ progress is guided by a curriculum which is specially developed by our faculty and which gives our students the opportunity to earn special color ribbons and medals upon passing each level. In addition, our faculty can prepare students for any national and international optional tests such as ABRSM, National Piano Guild, ASTA, NATS, MTNA, and more. ISM does not require students to be locked-into a semester minimum; every student here is enrolled on a month-to-month basis. If you are ready to start, you have nothing to lose as we only want students who truly want to be here and learn. We’re a music school run by a family, for families. With an extensive staff of teachers all under one roof, we offer same-time scheduling, where our busy families with multiple kids and hectic schedules can enjoy the convenience of having their children taking different lessons at the same time in one location. Our wide range of lesson times is sure to fit any busy schedules and save valuable time and energy! 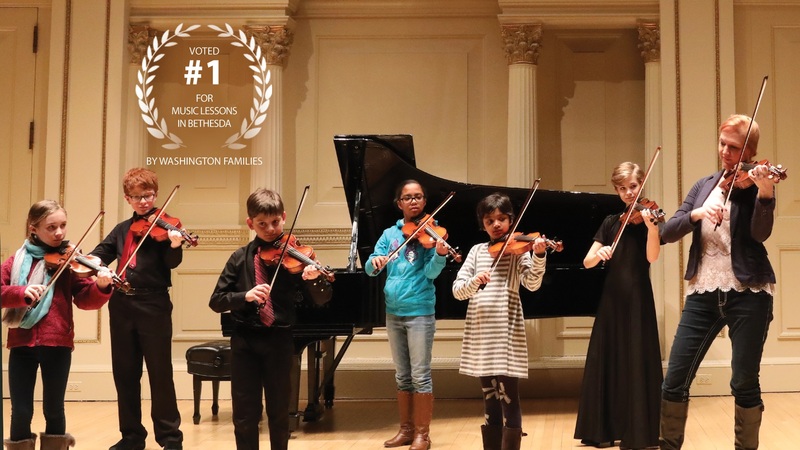 With a proven track record of excellence since 2004, ISM has provided music lessons to over 3,000 families in the Washington DC metropolitan area. We’re so fortunate that our community shares our passion for excellence in musical training and performing. Visit our testimonial page to hear what our students and parents had to say about their music lessons! Are your kids addicted to their technology? We can help! It's easy to take the next step: Call 301-365-5888 and schedule Your introductory lesson today! Music Lessons Gift certificates are available for all occasions. Give the gift of music — it lasts a lifetime! “ISM was a very enjoyable experience for both me and my daughter. The classes are fun and she feels like she is actually learning, and her progress is very clear, especially in the recitals. The staff is friendly and helpful. Recommend!” —Alexandra M.
“Service is excellent! Our teacher, Miss Hannah is the best teacher ever in the world, Natalie and I do enjoy our lessons. She is very kind, nice, knows how to deal with kids, and is very professional. Thank you!” –Natalie A. “We couldn’t be happier with our experience at the ISM. The front desk staff (Michelle and Erin) are knowledgeable, professional and always happy to assist the students and their families. My daughter’s teacher, Heidi is outstanding. She has been a source of inspiration and a resource for my daughter and our family!” –Margarita W.
“My daughter, Eleanor, takes harp lessons through ISM. We could not be more pleased with these lessons and with her teacher, Barbara! Barbara is a kind and thoughtful teacher who is dedicated to giving her students wonderful, meaningful lessons. We recommend Barbara and ISM to everyone who expresses any interest in musical instruction. Thanks for everything! –Cynthia P.
“Wonderful, talented teachers starting with my violin teacher SL, and extremely courteous and caring staff –MM, CS, ER, JR– with great sense of quality service to students.” –Bernard D.
“Chizara loves Ms. Sophie. She has truly made her enjoy playing the violin and built her confidence. We like the private instruction, which suits our daughter’s personality and she has really thrived in this environment.” –C.O. “My weekly voice lesson is the best 1/2 hour of my week!” –Michael T.
“My teacher Matt has been one of the best teaching relationships I have ever had. He has taught me so much and I feel that he cares very much about me as a person. I have been lucky to have had him as a voice teacher.” –Colin M.
“Met the needs of both of kids – lessons were individualized to their learning style and desires. Very flexible with scheduling. Good feedback at end of lessons. All around great experience!” –Sean L.
“Excellent service and outstanding teachers. Have been a happy and satisfied parent of a student for five years”. –Astor V.
“Sophie is an EXCELLENT violin instructor. She is patient and knows exactly how to impart complex concepts in fun and interesting ways. My daughter gets so much out of each lesson. Thank you.” –Cecily B. “Hyojin and Diana are outstanding teachers. Both are warm and encouraging to my children, but also have noticeably improved their musical skills. The kids love their lessons and are learning so much!” –Ellis C.
“Mr.Dunkin is a wonderful and patient saxophone teacher. We are very pleased with ISM as a school and with their choice of having amazing intructors.” –Daviel D.
“Mathew is very good teacher with a lot of patience! Thanks!” –Francesca G.
“Mostly professional and very well run.” –Alison C.
“We really like the recitals. It is a great way to show how much progress has been made.” –Emilia L.
“Teachers are knowledgeable and friendly, both of my children are happy to go there.” –Ariela S.
“My son loves his instructor, Dr. Marino. He’s a patient teacher who gives great feedback and is very encouraging to a budding guitarist. The substitute instructors are also wonderful and knowledgeable. Thanks for having flexible make up sessions and a summer schedule for time away.” –Will E.
“We have had great experiences for both of our children who play different instruments.” –Philip M.
“Our two daughters piano teachers are fantastic!” –Elizabeth I. “I was impressed by the customer service when I first got in touch. I inquired at a few different places for voice lessons, and your staff was the most responsive and helpful. (Why I decided to take lessons with you!) Randi is also awesome – she is calm and understanding of a person who has never taken singing lessons before, and she is very serious about ensuring I am able to learn songs I actually enjoy singing!” –Marie M.
“Both Randi and Meghan are great. So are the front desk staff! I recommend ISM all the time!” –Ellie R.
“We love our guitar teacher, Brendan. He does an excellent job of incorporating music theory and education into an enjoyable lesson and practice experience for my teenager.” –John S.
“Teaching is appropriate to the age and ability of my child; teacher is patient yet persistent. He encourages effort and attention, while accommodating lapses in attention.” –Felix R.
“Dimitri has been a great teacher and mentor to Conner.” –Conner O. “Our lessons, particularly with Myles, have been great.” –Noemi Z. “Love the school , administrators and teachers who are skilled and talented!” –Gabriel N.
“Both my instructors helped me do something I never thought I could do, perform live and enjoy it.” –Peter H.
“Both teachers were excellent! Louisa and Melinda helped improve our daughters’ technique and confidence. The staff at ISM South were always flexible about schedule changes and great about reminders, and all the administrative chores.” –Kate M.
“Great instruction at convenient times for affordable rates!” –Peter S.
“I find all the staff members very nice and charming. The whole experience is very good and I really enjoyed and did learn quite a lot from the lessons.” Betty Z. “Roxanna loves her voice instructor, Randi. She enjoys her lessons so much that she is always surprised that the half hour goes by so quickly!” –Roxanna A. “I love taking clases at ISM because all the staff is very kind, friendly and professional! James is the best saxophone teacher!! !” 😉 –Carol D.
“I look forward to coming to class every week because I learn so much from Miss Joelle. She very caring and motivates me well! 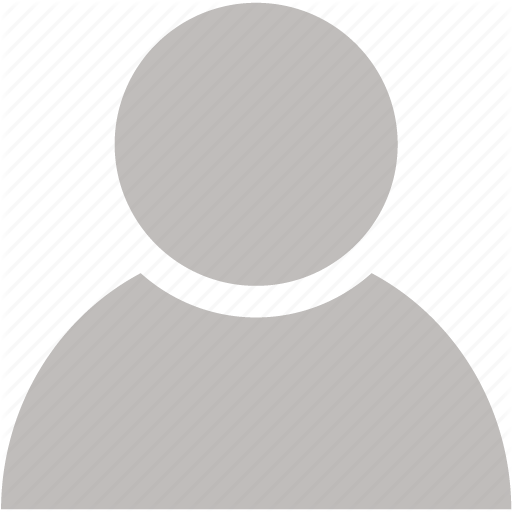 !” –Gabrielle K.
“We’ve had a wonderful experience with Dr.Brown. 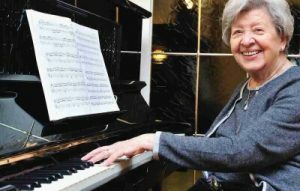 She provides a balance of challenge and excitement to her piano lessons to ensure the student continuously improves.” –Sophie B. “Our daughter enjoy very much her violin lessons. Her teacher is great and explain everything in calm and understandable way. We’re very thankful.” –Aurora L.
“My daughters have been taking a piano class since 2015 with Ms. Woobin. Everything is going wonderfull so far . Thanks !” –Naz B. “Great teacher, very organized systems, good follow up!” –Coby M.
“ISM has been great! It was so nice to call and receive an introductory piano lesson soon thereafter! Staff is very courteous as well.” Jack Z. “Hanni is patient and fun. She encourages me and helps me become a better student. Thank you!” –Alexander S.
“My teacher is great and everyone is very nice and helpful.” –Melinda B. “The teachers and front desk are very professional and give us warm feelings. Most important, my son enjoys the class every time and learnt a lot.” –Liam D.
“Eric is an amazing teacher who always thinks of new ways to help me understand theory and enjoy learning to play the piano.” –Sonja B. “Wonderful teachers! They are knowledgeable in music and skilled at teaching. We have had two enthusiastic and motivating teachers in our years and ISM.” –William H.
“We love our instructor. I also like the numerous student recitals throughout the year.” –Matthew K.
“Excellent teachers and amazing front desk representatives!” –Mila N.
“Great lesson structure and personalized pace, great instructor.” –Lara D.
“Very flexible. Good quality teaching, friendly – easy. Recitals are low key and not threatening to students.” –Emma D.
“Both piano teachers for our children are excellent, and I also greatly appreciate the friendly staff at the front desk who is always willing to help when questions or scheduling issues come up. Thank you very much!” –Max P.
“Working with Lindsey is wonderful. The staff is always friendly and responsive.” -Spencer H.
such presentation while playing, especially when playing for others. Those things count, but I had never learned about them before. Learning that has improved my confidence.” –Candace R.
“The front desk staff provides great customer service. The music teachers are amazing. They are great matches for my kids.” –Alexander M.
“Great learning environment and amazing instructor.” Sarah J. “My son’s teacher is absolutely wonderful. She works him hard and understands exactly what he needs. The staff has been very helpful and warm.” –Judah L.
“I am so pleased to be taking piano lessons at the school. It is managed so well, and communication has been very easy and smooth, everyone in the front is very professional, nice, and friendly. I am so appreciative of my extremely talented and gifted teacher, Byonghee, and I am delighted with how much I am learning from her.” Lisa B. “My daughter have taken lessons for 2 years and we absolutely love it and her Vioin teacher Kelly is amazing and patient!” –Skylar D.
“Nakia is fantastic. Not only does she know music she understands the moods of my son (First as pre-teen now teen). She helped him navigate the voice change beautifully.” –Thomas M.
to the fact that the quality of her lessons far surpass other experiences, but this is due to exclusively to the quality of the teacher.” –Rory L.
“Dr.Khill teaches my daughter piano lessons and is wonderful! She is encouraging, supportive, patient and kind.” –Cynthia A. “Cecile is amazing. She is very good at balancing the kids interests with pop and classical music piece. She cares so deeply about her students!” –William K.
“The overall service at the school (scheduling, front desk) is always friendly and efficient. 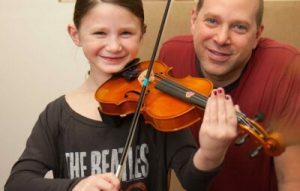 Kelly is a great violin teacher for kids, Striking a balance between teaching skills and keeping it fun.” –Emeline M.
“My teacher Eric is an excellent music teacher. I enrolled after I hadn’t played for over a year. I was very apprehensive ,but Eric made me feel at ease to play again. He has a great amount of patience and knowledge to impart. In the short time I’ve taken lessons, he has taught me so much. He is always encouraging to me and guides me toward improving.” –Janine R.
“International School of Music has provided me with excellent service and my instructor is really nice. I receive lots of help making sure I play my instrument properly and to the best of my ability. I have had a great experience!” –Claudia M.
“ISM got back to me very quickly when I requested lessons for my son last year. Our assigned teacher (Chelsea) is excellent! I am thrilled with the instruction that my son is receiving and better yet, he’s enjoying himself.” –Caleb O. “The quality of the instruction from Kate W. has made my experience at ISM top-rate. I look forward to my lessons with her and am inspired to take what she teaches me and work on it at home.” –Ann M.
“We love Dr. Ahn. She teaches well, is very organized and makes opportunities for her students and keeps the parents informed.” –Rohit D.
“Easy to schedule, great & high-quality instruction!” –Jane H.
“All my kids started and are still taking classes there because we see the progress they continuously make.” –Samuel G.
“Teacher Mathew has patience with kids, he’s funny and makes me easily understand the instructions.” –Ricardo B.